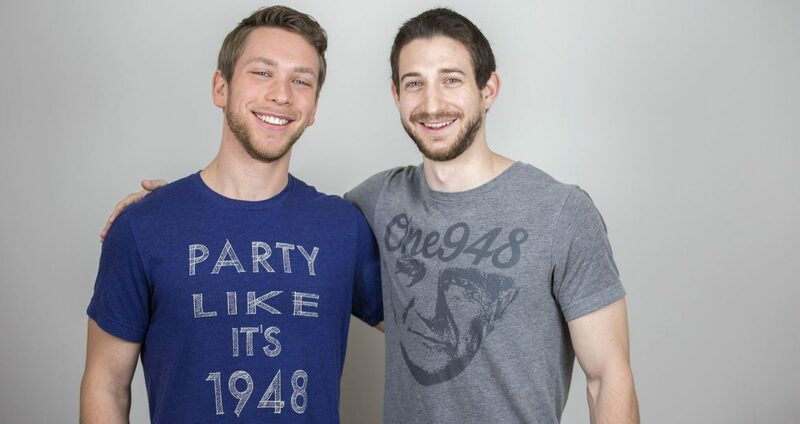 Brian Horowitz (Ohio State, 2011) and Matt Stahm (Ohio, 2012) are two entrepreneurs who recently started One948: Israel and Jewish-themed Apparel, a store that donates 10 percent of its profits to nonprofit organizations that support Israel. Both Brother Horowitz and Brother Stahm were born and raised in Ohio—just a few miles away from one another. While the two shared family friends, they did not truly connect until a bachelor party in 2015. BrotherStahm noticed the Ohio pocket t-shirt Brother Horowitz was wearing and said, “Wouldn’t it be interesting if the pocket were in the shape of Israel instead?” Brother Horowitz agreed, and within weeks, they designed the product and coined the name One948. Entrepreneurs warn against starting a business with a friend, but both feel that their strengths complement one another. And without the opportunities and connections that AEPi provided them, they know that One948 would not be what it is today. What started as one product quickly developed into an entire brand. Despite jumping numerous hurdles to find a manufacturer and all the challenges associated with a start-up, Brother Horowitz and Brother Stahm have persevered. While speaking to a BBYO youth group in Youngstown, OH, to raise awareness of One948, their desire to reach young adults was sparked. That’s when they realized that One948 is more than a clothing brand. It is also about reconnecting young Jews to the Jewish homeland and selling both clothing and Israel to them. Together, they hope to show the opportunities Israel has for everyone while building up Jewish advocacy. You can learn more about One948 and support Brother Horowitz and Brother Stahm at www.one948.com.